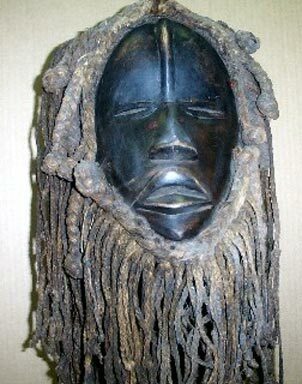 Dan Mask from the Ivory Coast and Liberia. Made of Wood with glossy black patina. The Dan are farming people who inhabit the hinterland of the Ivory Coast. The Dan Mask represent Spirits of the bush and fulfill a variety of social, political, and religious functions. Perfect for Gifts and collectables.